Technically the FS88 module is an FS88H scanner without plastic case and USB cable. The module is intended for customers who want to integrate FS88 into their own products, like handheld POS devices or portable voter registration stations. The FS88 scanner is FIPS 201 / PIV compliant device and is listed in the US General Services Administration (GSA) FIPS 201 Evaluation Program Approved Product List. The FS88 sensor is rugged enough to be used in mobile solutions that may require heavy user interaction in various environments. Each individual module includes a unique factory-programmed serial number. Scanner is traceable as it has a unique serial number factory-programmed into the USB Device Descriptor. Applications can read this number and store it into database duringe each scan. This feature is important for security systems and government identity management projects. FIPS 201 and PIV compliant – certified by FBI and included in US General Services Administration approved products list. Suitable for mobile solutions – compact and rugged sensor can be used in various high-traffic environments. Precise optics – allow to scan almost undistorted fingerprint image. 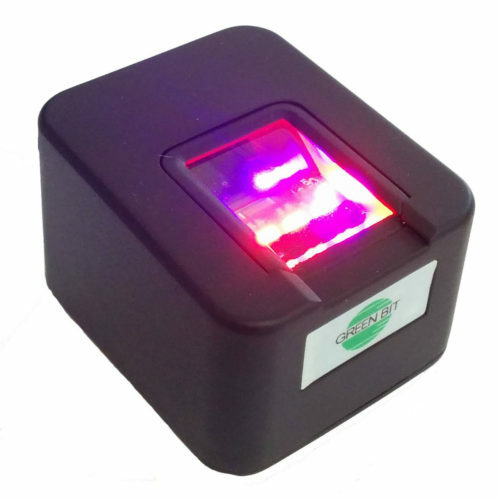 Infra-red illumination – allows to scan wet, dry, blurred and other problematic fingers. Rugged sensor – thick (14 mm) crown glass used for platen. Futronic’s FS82 USB 2.0 Fingerprint Smart Card Scanner is a combination of FS80H fingerprint scanner hardware and ISO7816 smart card reader. 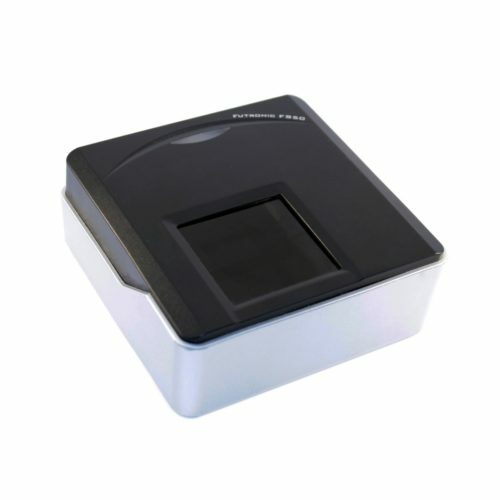 The fingerprint and smart card readers can be used together for two-factor authentication. A fingerprint template is stored on smart card and can be compared with a fingerprint scanned with the fingerprint scanner. Also the fingerprint reader and smartcard reader can be used separately. The fingerprint reader part features precise optics and infra-red illumination that allow to scan wet, dry, blurred and other problematic fingerprints reliably. 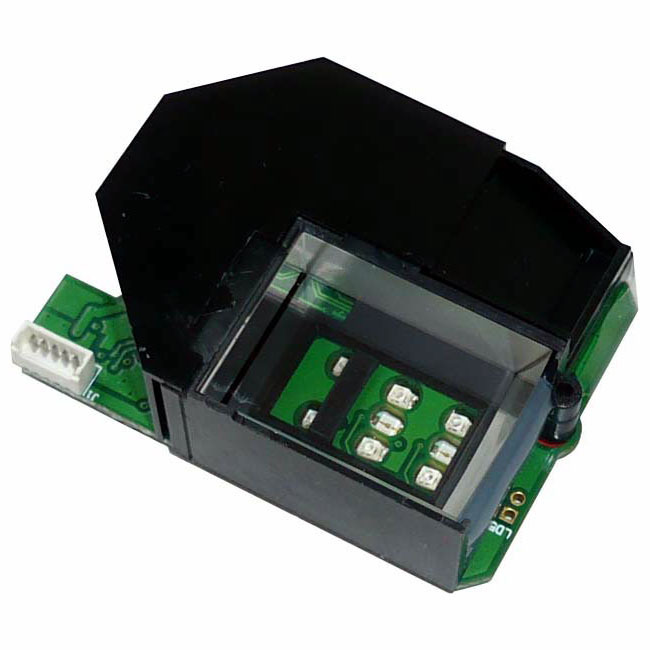 DactyID20 from Green Bit is a FAP ID 20 PIV-certified single fingerprint reader. The manufacturer specifies that the scanner features hardware-based fake finger detection. Also specified that the device has IP54 rating An OEM module is also available from the manufacturer. 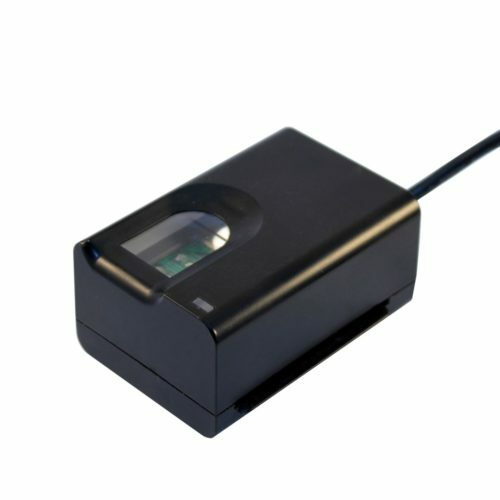 FS50 fingerprint scanner is intended for professional applications. The scanner features large platen area (1.6″ x 1.5″) that allows to scan single or dual flat fingerprints, or single rolled fingerprint. The FS50 was certified by FBI to be compliant with PIV-071006 Image Quality Specification for Single Finger Reader. The scanner is also listed in the US General Services Administration (GSA) FIPS 201 Evaluation Program Approved Product List. The FS50 meets the US Federal Information Processing Standard 201 (FIPS 201) for Personal Identification Verification (PIV) of Federal Employees and Contractors. Copyright © 2009 - 2019 Biometric Supply. All Rights Reserved.